npower and The Football League have announced the 'Home Town Heroes' programme, a new £2m community initiative. npower and The Football League have announced the launch of 'Home Town Heroes', a new community initiative that aims to put the power into the hands of the fans. The £2m Home Team Heroes initiative - which will be run over the course of the three year sponsorship - will ask communities around the UK's 72 Football League grounds to vote on how this money should be spent, in order to make the most impact in their local area. Fans can cast their votes by clicking onto the npower website, texting; filling in postcards at their local Football League club or one of npower’s touring event stands in the local area; or by logging onto their club’s official website. Volker Beckers, RWE npower's CEO, said:"This scheme is all about giving power to the fans. As a new sponsor, we didn’t want to come in with a ‘one size fits all’ approach. Instead, we’re asking the communities around each club to vote and tell us which option suits them best." Greg Clarke, Chairman of The Football League, said: "Football League clubs are an integral part of their local communities, demonstrating that football has the power to make a difference to peoples’ lives. Whichever project each community votes for - be it respect workshops, football training or the improvement of local playgrounds - our clubs will be actively engaging with local children to encourage them to get involved in football." WeShallOvercomeBlog - "This is a great opportunity for Boro fans to have a real say on what projects are undertaken in the Teesside area. 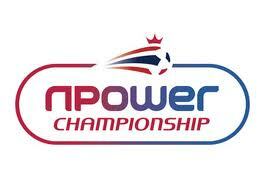 We encourage all Boro fans to vote on this great initiative from npower"